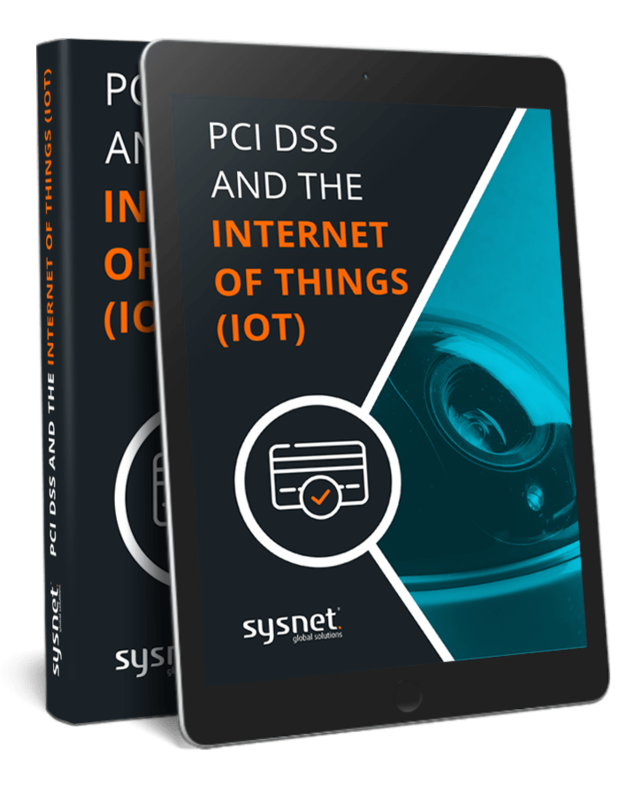 PCI DSS and The Internet of Things (IoT) | Free eBook | Download Now! In this eBook; we discuss the recent phenomenon of the Internet of Things (IoT) and how it relates or will impact on PCI DSS. Download your free eBook today by simply providing your business email address! Please provide your business email address. Sysnet Global Solutions will use the information you provide on this form to be in touch with you regarding non-promotional as well as promotional material by email and phone. If you agree to same, then please select the ‘I consent’ box after reading the terms and conditions listed below in relation to consent. You can change your mind at any time by clicking the unsubscribe link in the footer of any email you receive from us, update your preferences for communications, content etc. by clicking on the update my preferences button in any email we send you or by contacting us at marketing@sysnetgs.com We will treat your information with respect. For more information about our privacy practices please visit our website. By clicking below, you agree that we may process your information in accordance with these terms.